Im so excited for the weekend! The weather is looking just perfect for evenings spent outside with great wine, friends and good food. I’m preparing a nice feast to celebrate my best friend Andrew’s birthday. I’m crossing my fingers for an al fresco dinner. 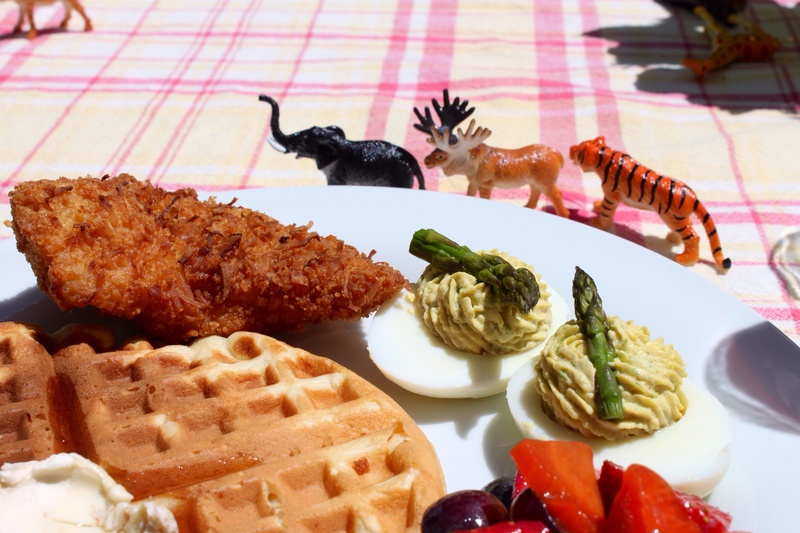 If you don’t already have plans made for the weather, or the derby, or to just celebrate all things weekend, I highly suggest the most easy and fun brunch – chicken and waffles! Last weekend, my friend April and I hosted a group of fifteen friends and this menu couldn’t be more simple. 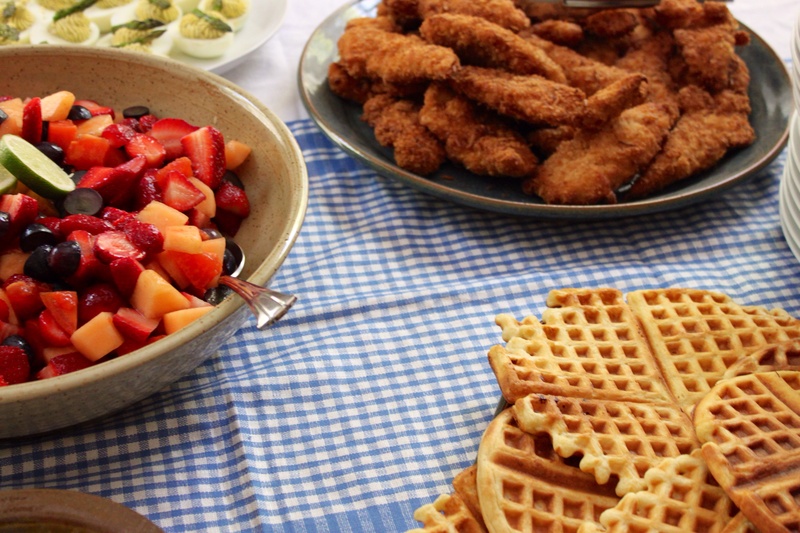 We got a big platter of fried chicken and waffle mix from The Fresh Market with lots of fun butter and syrups. With a warm oven, you can make the waffles in advance and keep both the chicken and waffles at 250 degrees until you are ready to serve. How fun is that? Plus a couple zoo animals don’t hurt.